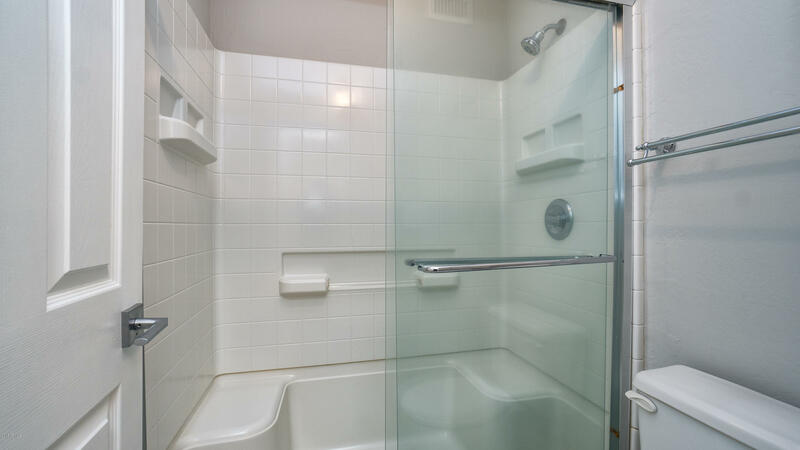 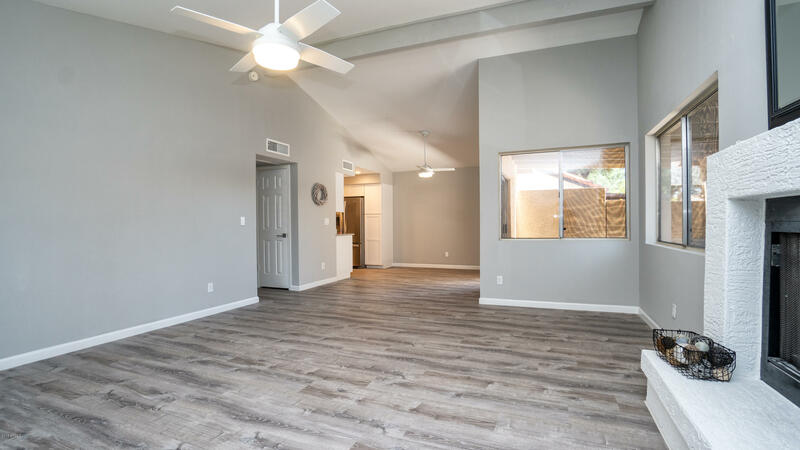 Major remodel! 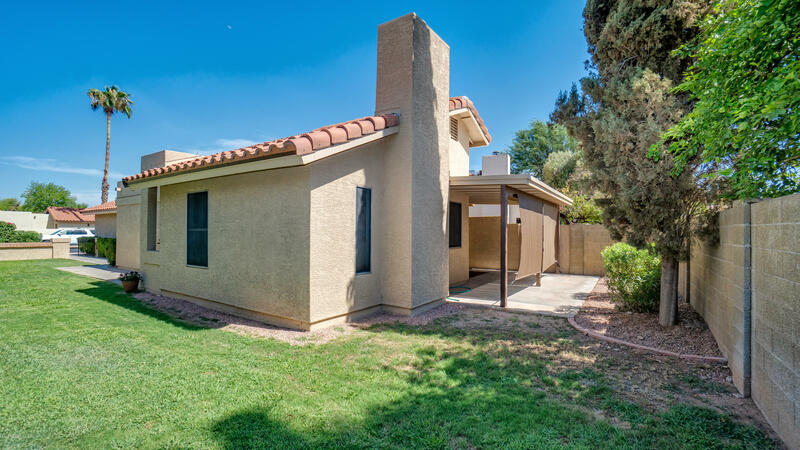 Stunning 3 bedroom / 2 bathroom single story home with loads of upgrades! 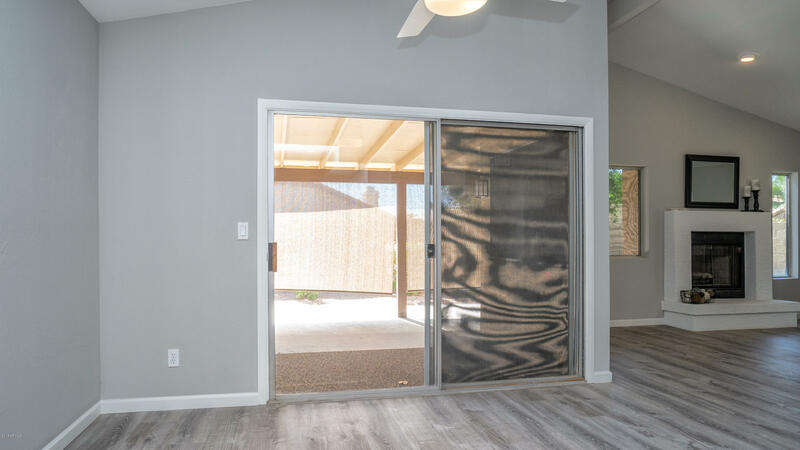 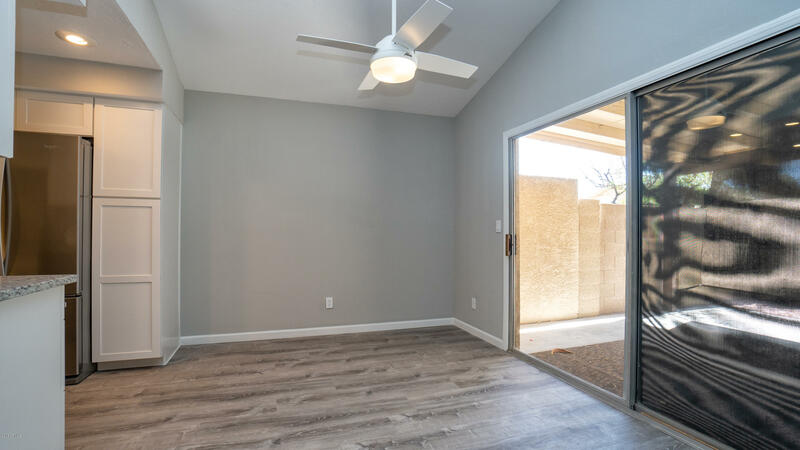 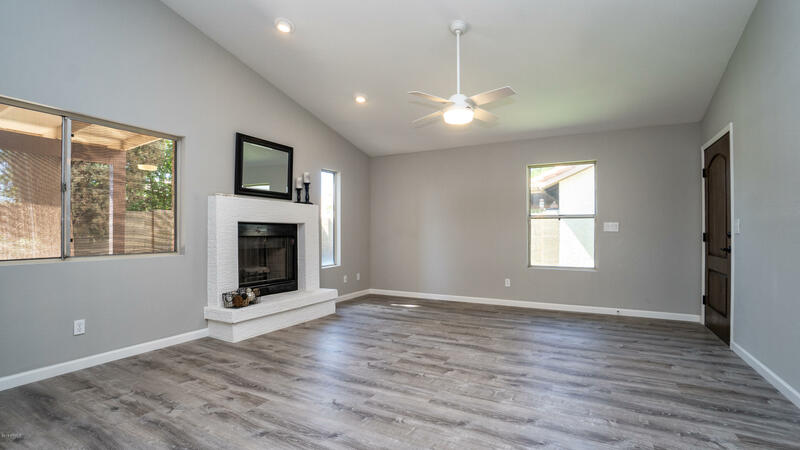 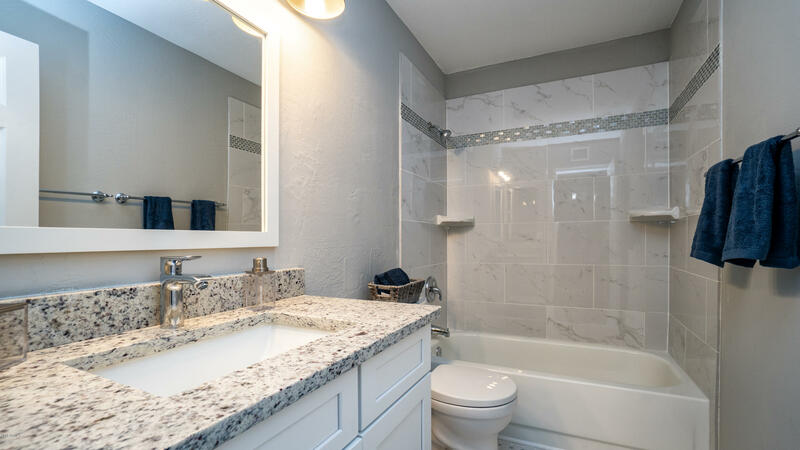 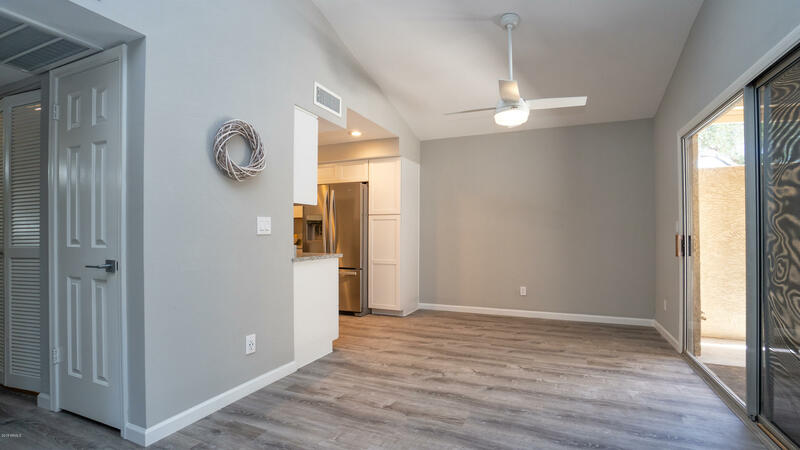 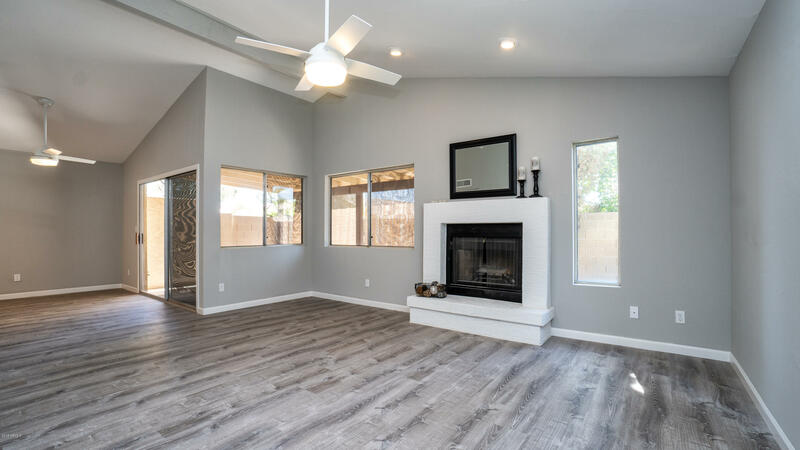 Open floor plan with vaulted ceilings, fireplace in family room, new remote controlled ceiling fans with LED lighting, new luxury vinyl plank and ceramic tile flooring, new bedroom carpeting, new fixtures throughout and new interior paint. 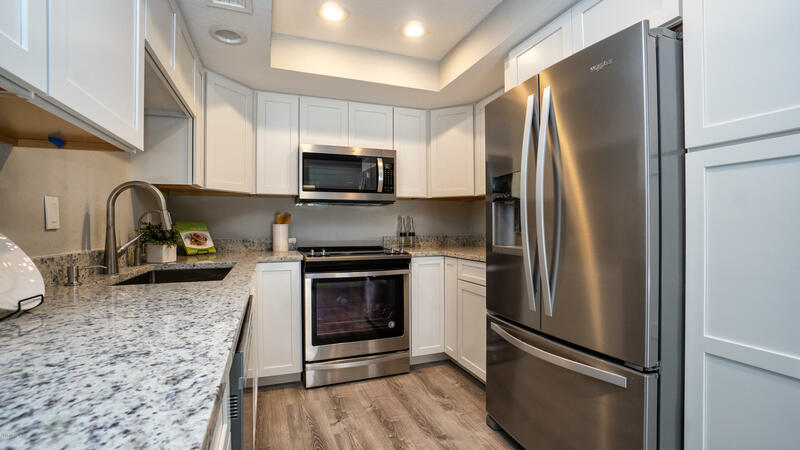 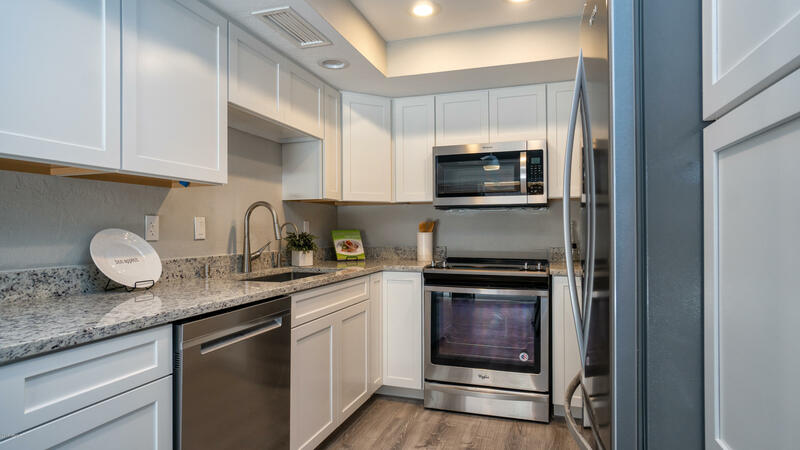 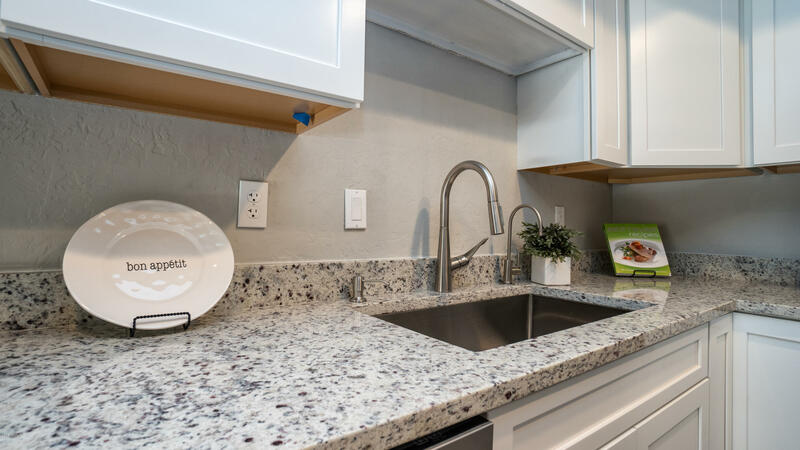 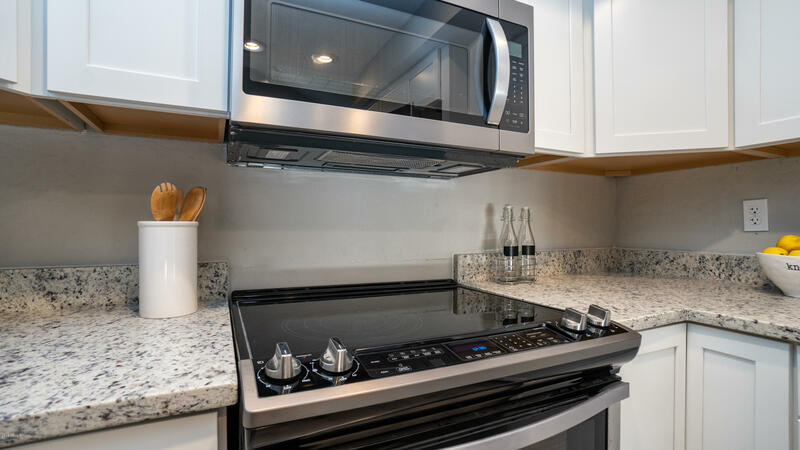 Kitchen boasts granite countertops, new Whirlpool stainless appliances,reverse osmosis and new white shaker wood soft close cabinets. 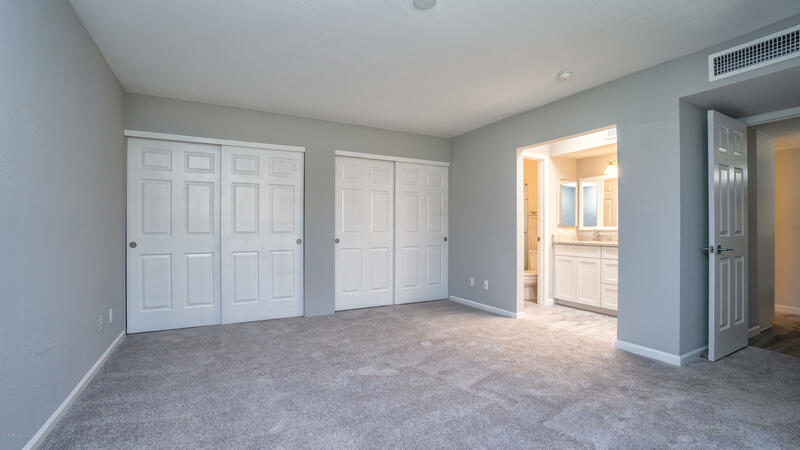 Large master bedroom suite with two large custom closet systems. 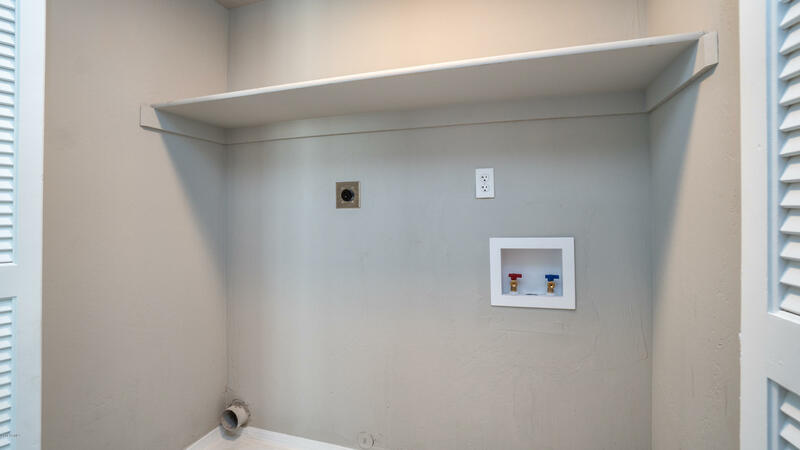 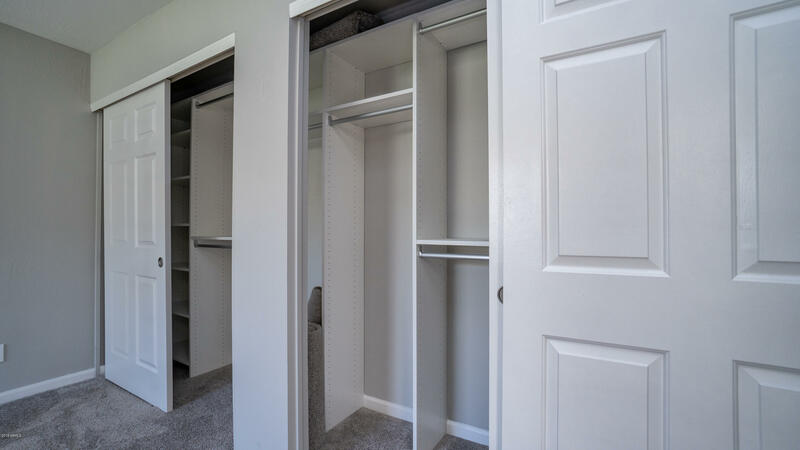 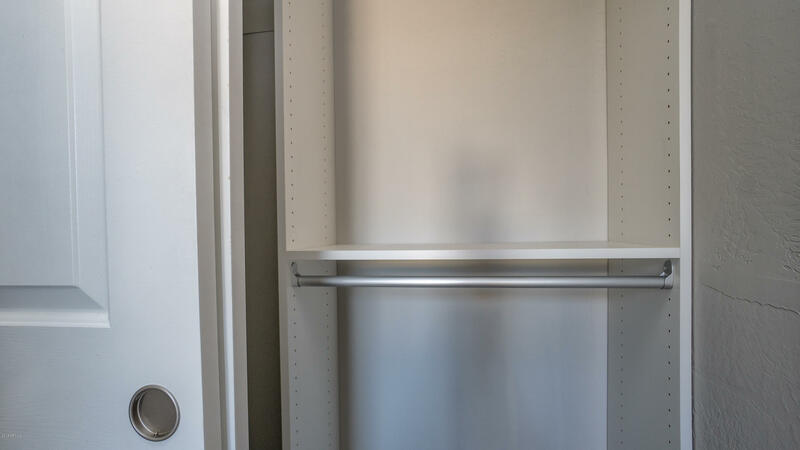 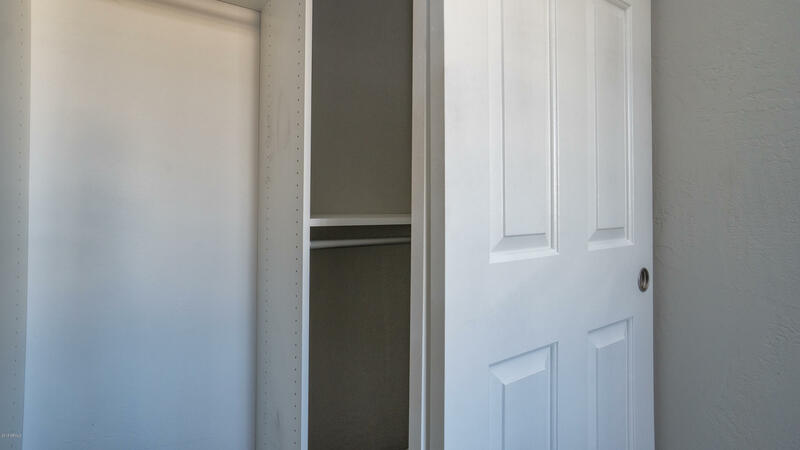 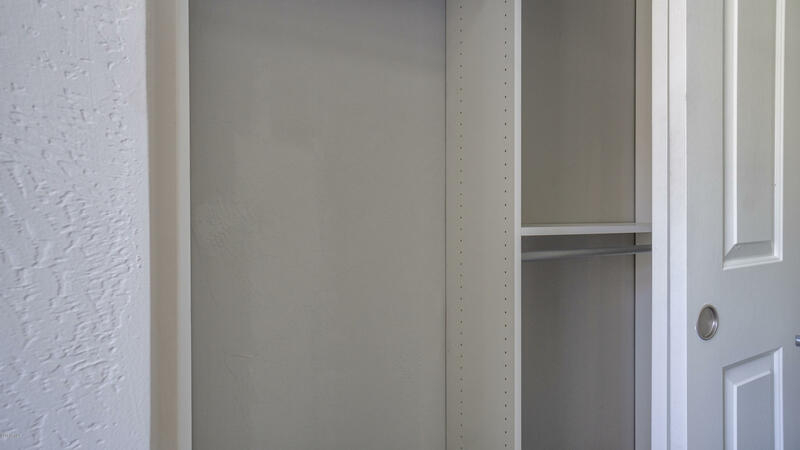 Secondary bedrooms with custom bedroom closet systems. 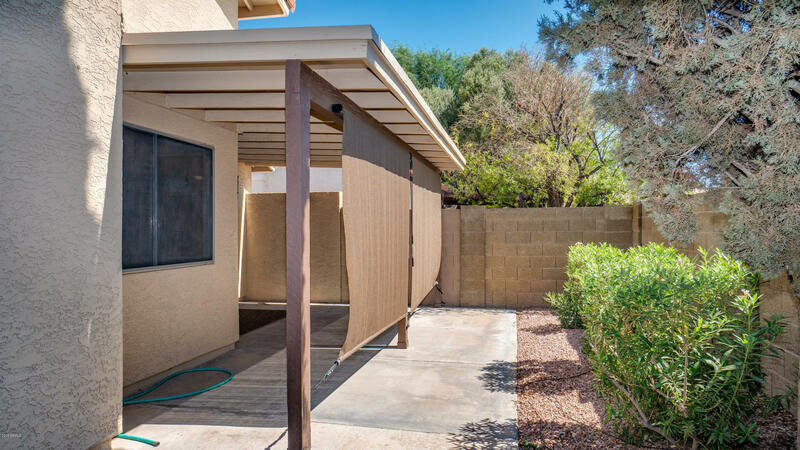 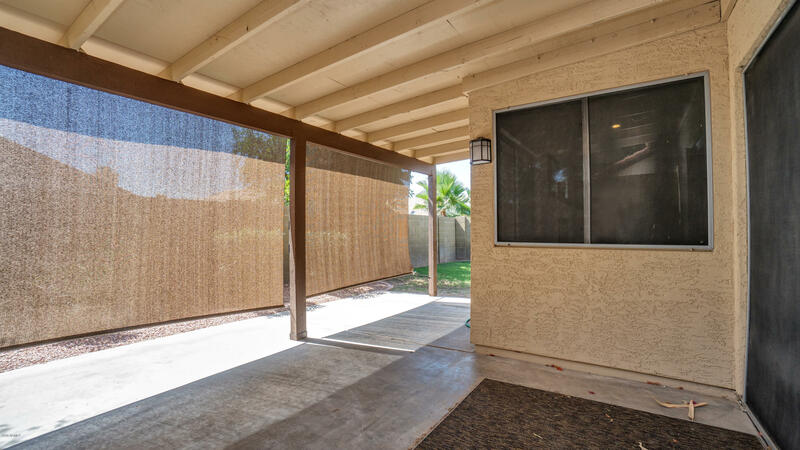 Cozy backyard has covered patio with sunshades and grassy area. 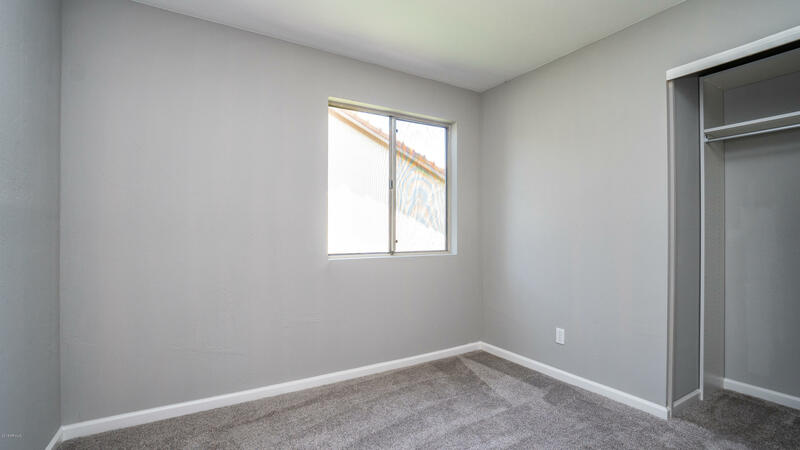 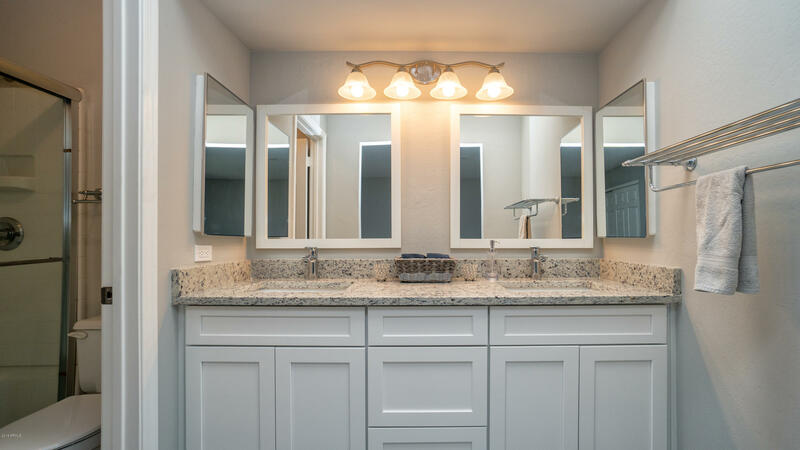 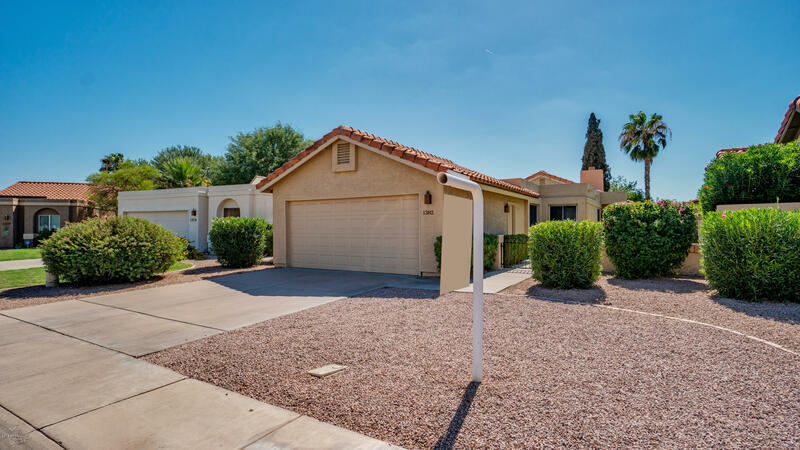 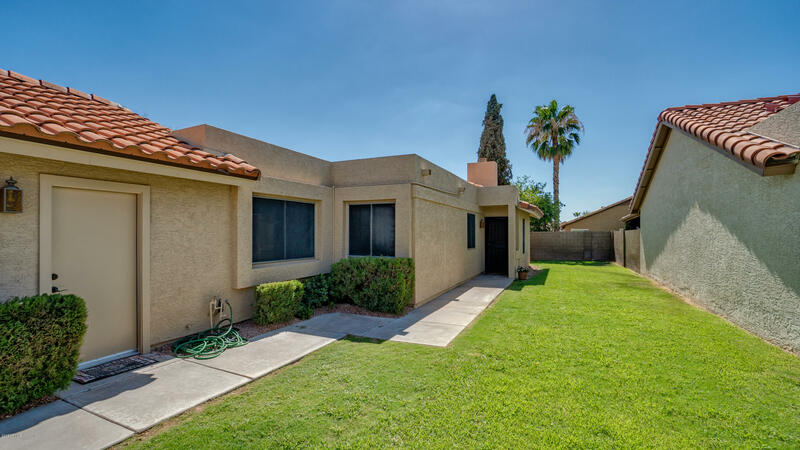 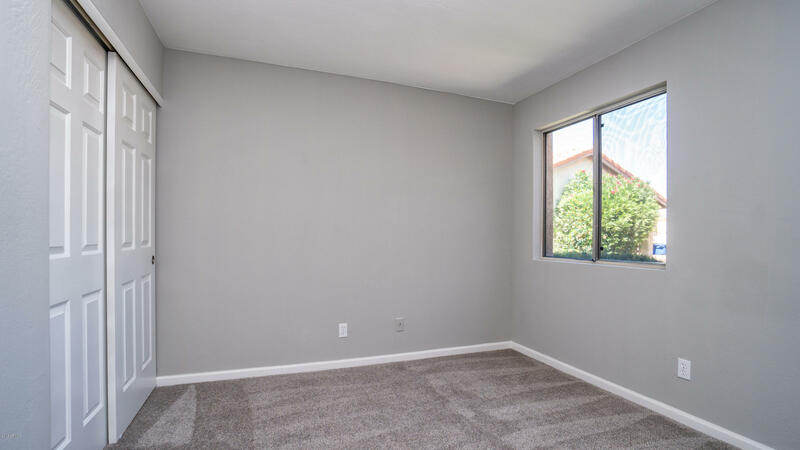 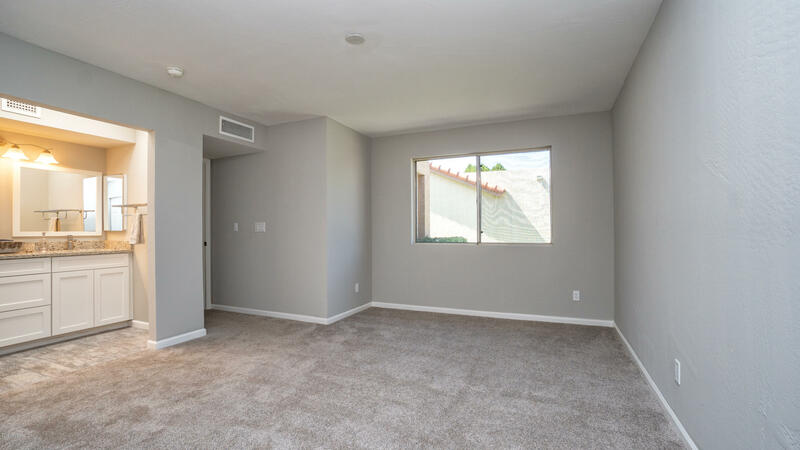 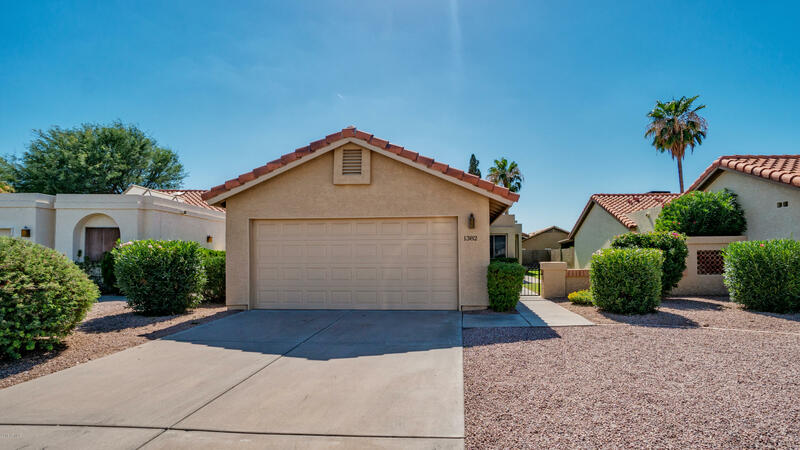 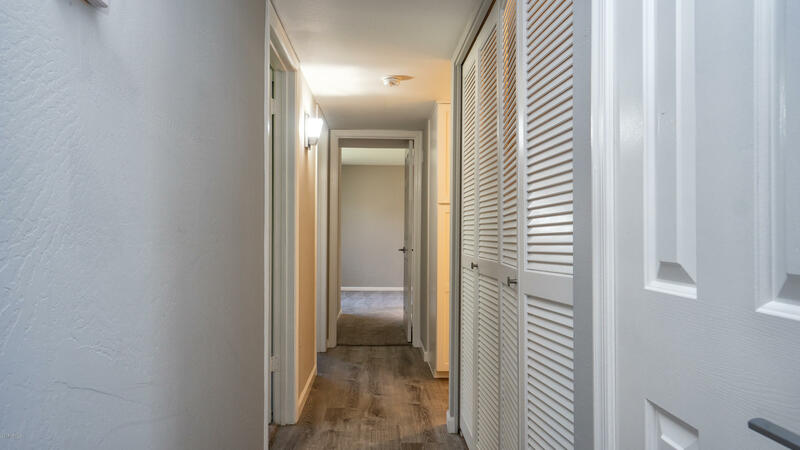 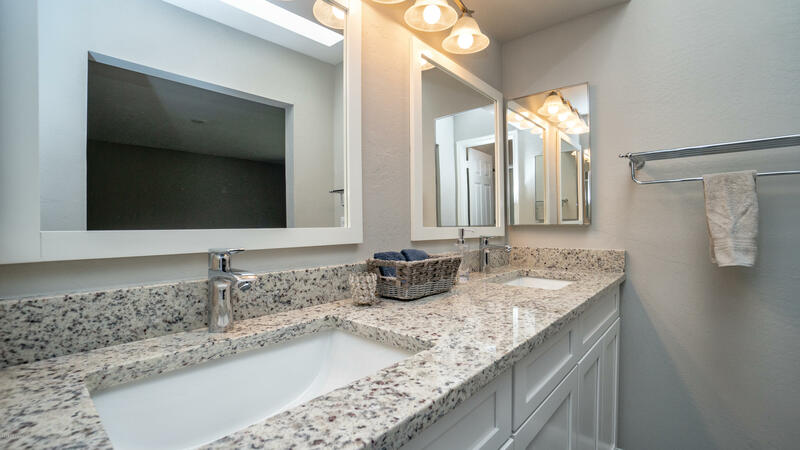 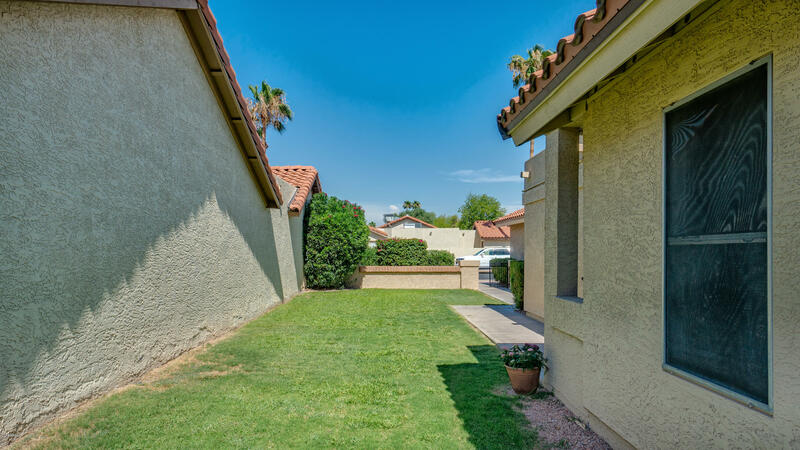 Home is in a very convenient and quiet neighborhood with schools, parks and shopping within walking distance and is a mile from the Loop 101 access!